The most important thing I learned from working at 16,500 feet above sea level is this: High altitude makes you stupid. 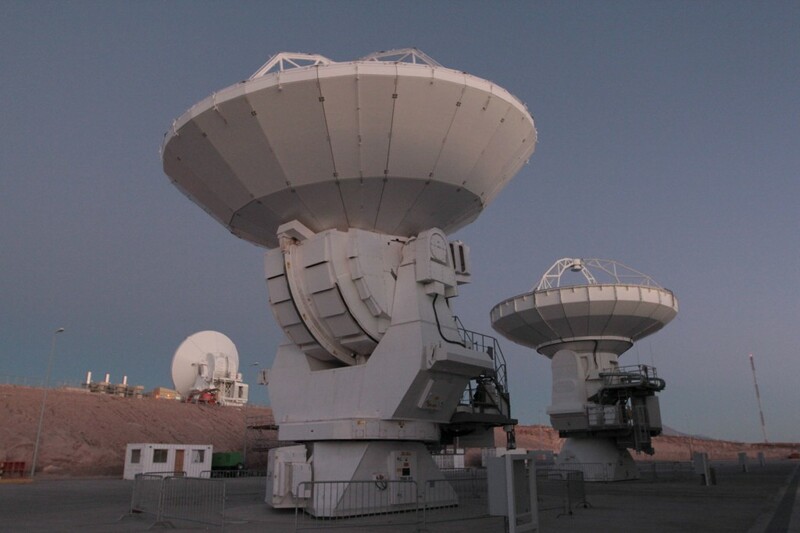 The telescopes at the ALMA observatory sit on the Chajnantor Plateau in northern Chile’s Atacama Desert, just 400 feet lower than Mount Everest’s North Base Camp. We were there to interview the scientists behind the Event Horizon telescope, a project with a lofty goal: to capture the first-ever image of a black hole at the center of our Milky Way galaxy. But inside the control room at 16,500 feet, my head was splitting. I was out of breath and couldn’t tell if my shot was in focus. My cameraman Josh Barajas was struggling too. He asked repeatedly where his memory card was, and repeatedly I told him he’d already put it in the camera. At that point, our guide Sergio Cabezon clipped a pulse oximeter on my finger, a device to measure my pulse and blood oxygen levels. My blood oxygen read 83 — that’s low. At sea level, I would be in the hospital for a reading of 93. Cabezon slipped an oxygen tank on my back. With plastic tubes up my nose pumping oxygen to my brain, the headache vanished and my thoughts cleared. 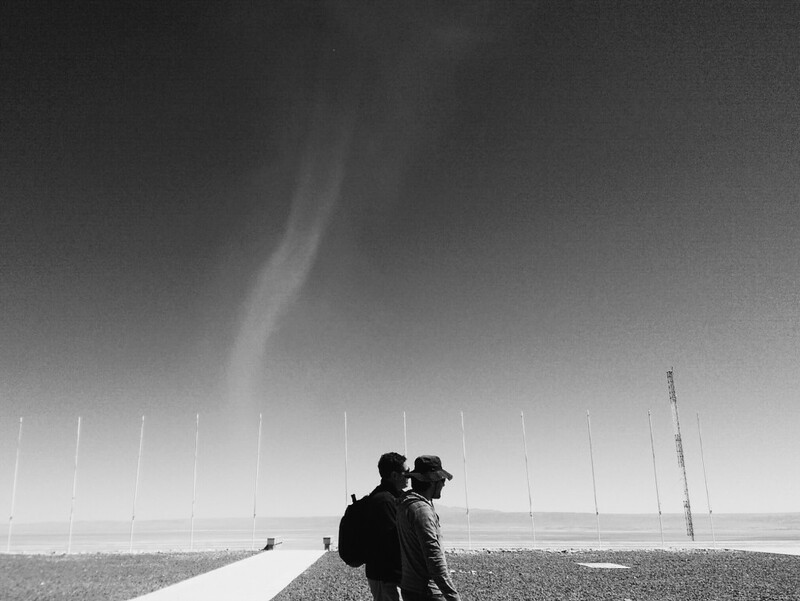 Scientists working at ALMA call this a “summit moment,” where the lack of oxygen starts to affect your ability to think and communicate clearly. Every scientist we spoke with had a story: One bilingual scientist lost the ability to translate words; another tightened a screw for a full five minutes only to realize he was unscrewing it; others complained of feeling dizzy, lightheaded and taking unintelligible notes. Some say the altitude gives them a voracious appetite. Others drop weight from the nausea. The altitude also screws up your vision, which explained why my eyes had trouble focusing. Acute mountain sickness can start as low as 6,000 feet above sea level. At first, it feels a lot like a nasty hangover. Desperate for oxygen, the blood vessels dilate, pumping extra blood to the brain. The brain swells, pressing against the skull. That pressure triggers a headache, one of the first symptoms of mountain sickness, along with sluggish thinking. Such symptoms can pose a problem when you’re working with highly-sensitive, multimillion-dollar equipment that operates the most sophisticated radio telescope in the world. ALMA stands for Atacama Large Millimeter Array, named for the array of 66 antennas that form a giant radio telescope, the most powerful in the world. They are so precise they can pick out a golf ball 9 miles away. The dishes of the large antennas are 40 feet in diameter. Their antennas weigh up to 100 metric tons and each contains a highly sensitive receiver, worth as much as a Ferrari. Together, they represent a critical piece of the Event Horizon Telescope. Capturing an image of Sagittarius A*, the black hole at the center of our galaxy, requires a massive lens — a lens the size of the Earth. Using a technique called very long baseline interferometry, the Event Horizon Telescope project is designed to link the ALMA observatory with others in Arizona, California, Hawaii, the South Pole and hopefully Greenland to form a telescope that’s giant enough, with a high-enough resolution to see that black hole. To detect the faintest radiation coming from space, the telescope is located high in the Atacama desert. 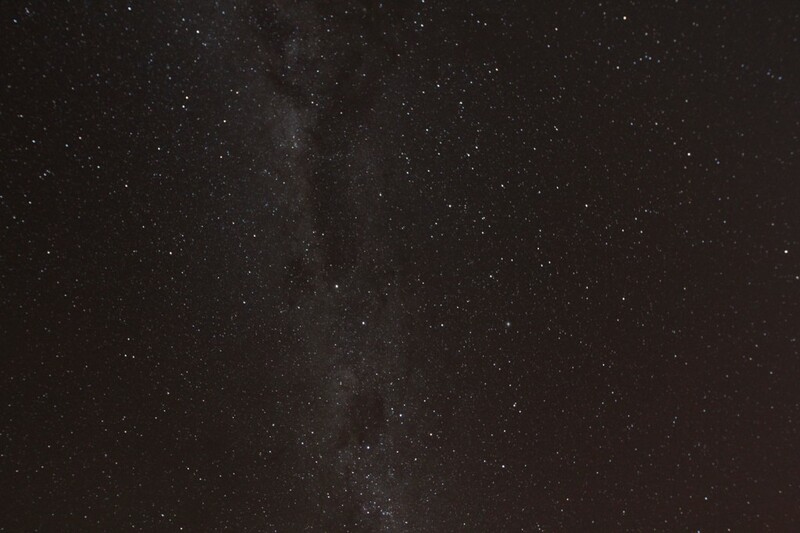 The Atacama’s extremely high altitudes offers one of the world’s best views of the night sky. 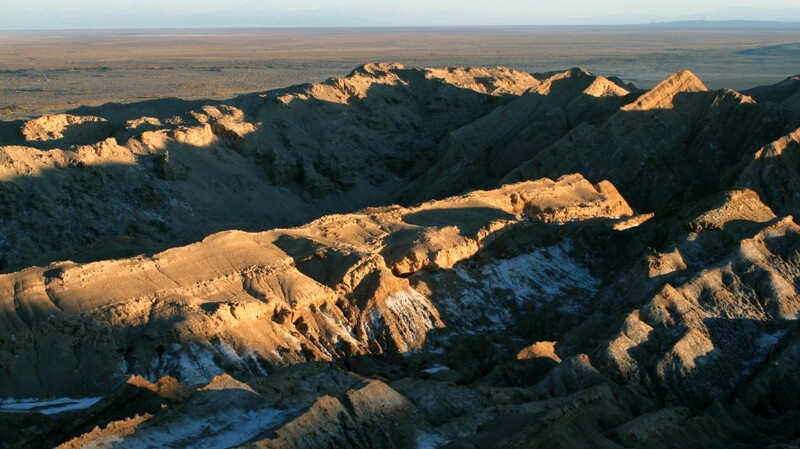 And whereas moisture distorts signals from space, the Atacama is so dry that scientists believe there are parts of this desert where it hasn’t rained in more than 400 years. Water, at least 26 gallons a day per person, has to be trucked up the mountain every day from the town of Calama, a two hour drive from the ALMA observatory. On that drive, the landscape is Martian — all red dirt and high mountains marked by swaths of salt. Its similarity to the Red Planet made it the perfect test site for the ESA Mars Rover last year. 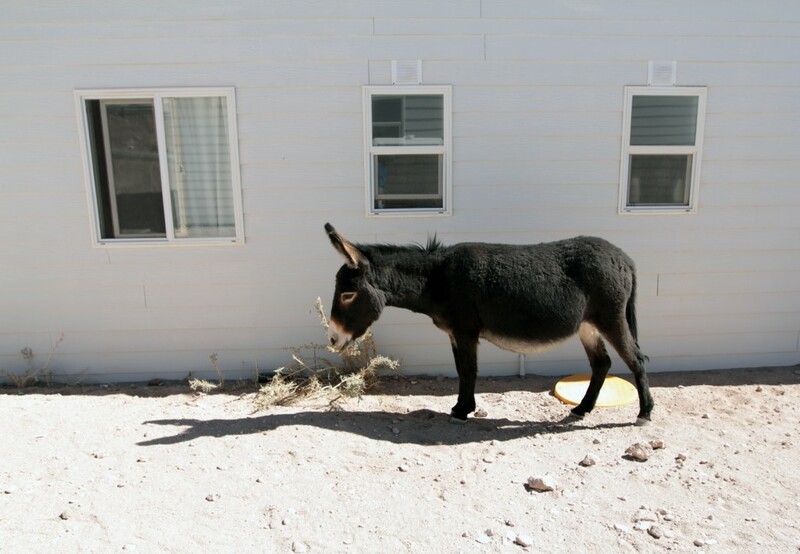 Wild donkeys roam the mountainside, surviving off the sparse shrubs. The donkeys were once used in the local mines, carrying equipment up the mountains. When the mines closed, the donkeys were abandoned. But they have thrived, pushing out the native vicunas, a local llama cousin. The donkeys are generally a nuisance, wandering in front of cars and devouring everything they can chew. They once destroyed a small lemon tree that ALMA workers tried to grow outside the safety office, proof that keeping any greenery around the site is futile. 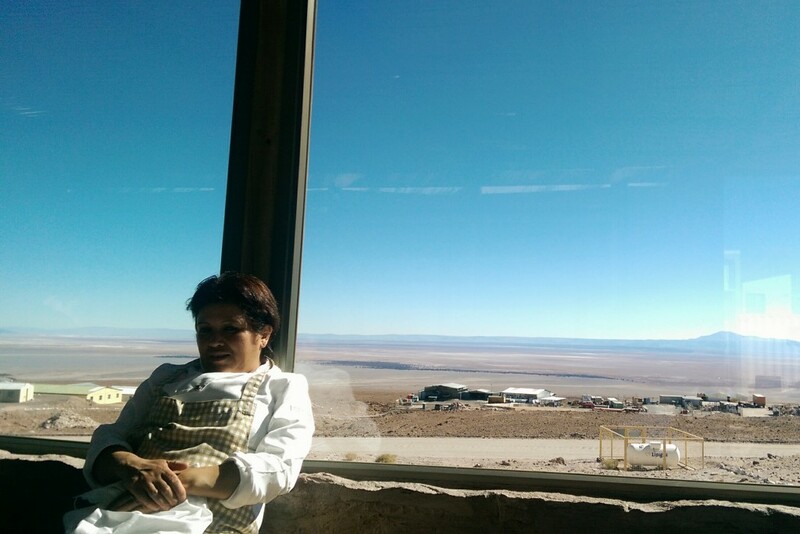 Scientists and engineers at ALMA work in shifts — one week on duty, one week off. They stay in the living quarters at the site, sleeping during the day and observing all night — unless they need to be up during the day to repair equipment. It means long hours and disrupted sleep patterns. 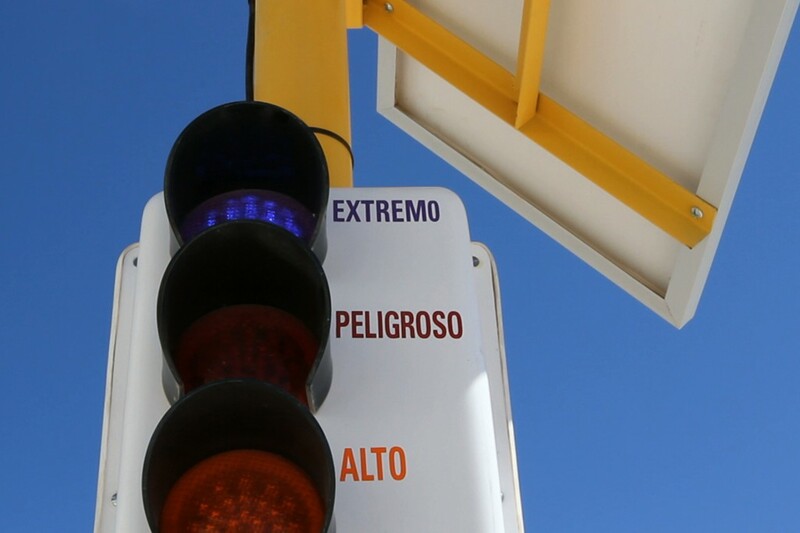 For visitors like us, visiting ALMA’s Operations Support Facility — elevation 9,514 feet — required a sign-off from a doctor. Then, before ascending to the high site where the antennas are, paramedics again checked our blood pressure and heart rate. If either had clocked in too high, we’d be banned from ascending to the high site that day. No exceptions. The altitude can be deadly. Acute mountain sickness can make the body shift oxygen away from its limbs to its most vital organs, said Ivan Lopez, ALMA’s health and safety manager. Ascending to 16,000 feet with high blood pressure or a high heart rate could result in a stroke, he told us. More seriously, high altitude can cause pulmonary edema. Fluid fills your lungs, and you suffocate. Taking Diamox, an acute mountain sickness medication, can help. But it has side effects, as Josh discovered: tingling in the limbs and nausea, for example. Weirdly, it can also alter your sense of taste, making carbonated beverages taste flat. After a few days, people typically acclimate to the high altitude. ALMA staff who visit the high site regularly walk around without oxygen tanks. 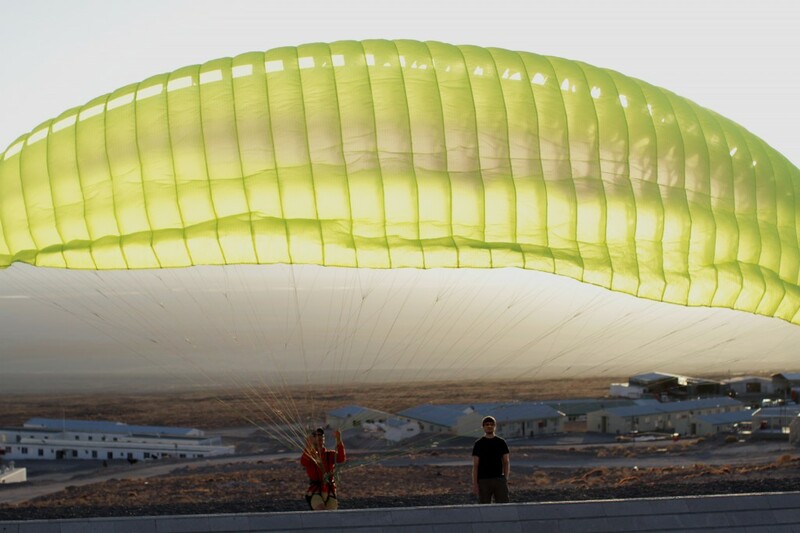 (To help us acclimate we were required to spend at least one night sleeping in San Pedro de Atacama, 7,900 feet, before we could visit the OSF.) But even with the right precautions, healthy, fit people can become very ill, Lopez said. The operations building at the high site is staffed with a team of paramedics, and equipped with extra tanks of oxygen, an ambulance and a portable hyperbaric chamber, just in case. Ultraviolet radiation from the sun is also a concern at these altitudes. Outside the OSF main building, a meter gauges the UV danger. Bottles of SPF 50+ sunscreen are stationed at every doorway in ALMA, with reminders to put it on before going outside. 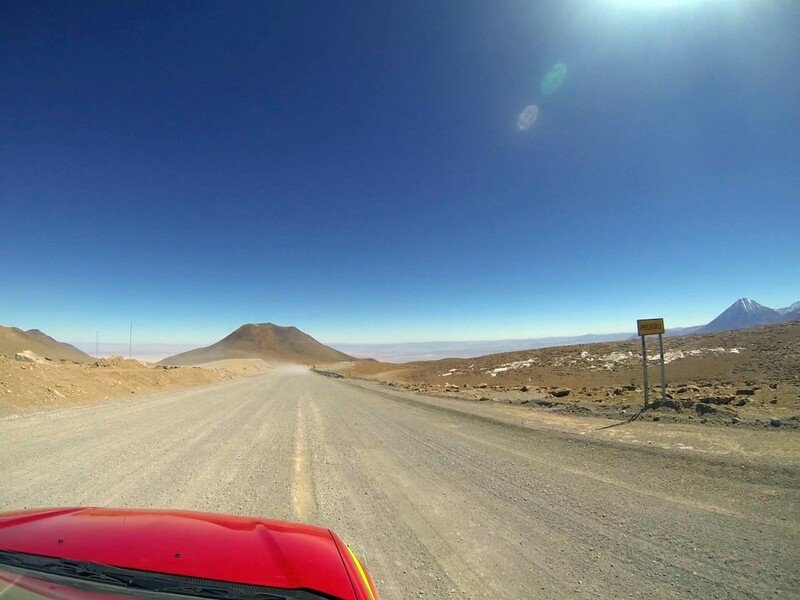 The gravel roads to the Chajnantor plain are as treacherous as the altitude or the sun, and were built to accommodate the transporters, which carry the antennas to and from the OSF. From there, it takes approximately 45 minutes to reach the plateau, an elevation gain of 7,000 feet. And on descent, the rapid change in altitude can cause people to pass out. Once, an employee fell asleep behind the wheel and died when he careened off the road. Now, only 4×4 trucks with roll-bars and certified drivers are allowed. Chile is also geologically and seismically active. An active volcano just 25 miles south of ALMA occasionally spews steam, dust and ash, and ALMA’s antennas were built to withstand earthquakes, winds and below-freezing temperatures. While the desert is awe inspiring, scientists, Simon said, are here for the sky. 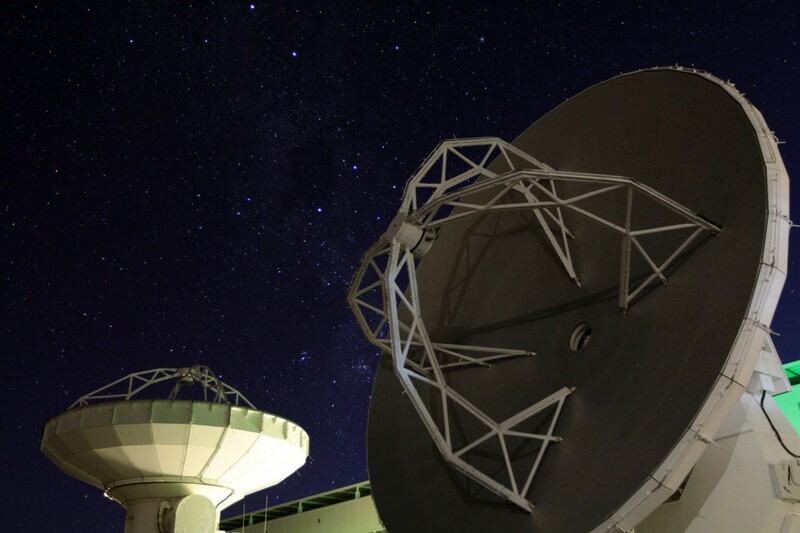 Astronomers at ALMA also study the births of galaxies, stars and the chemistry of the gas and dust in the early universe. That’s why its name, which in Spanish means “soul”, is so appropriate, he said.